Are you suffering from lower back pain? If so, you are not alone, approximately 80% of people will suffer from some sort of lower back pain at one point in their lifetime or another. As a matter of fact low back pain is the number one cause of years lived with disability worldwide! Lower back pain can come in many shapes, it can be muscular, joint related or neurological. Subsequently, low back pain can develop as a new injury or it can be something you’ve been trying to fix for years. It is always very important to get assessed by a licensed and trained health professional to fully understand what is concerning you. The reason for this is that you should always rule out any complications and not self diagnose, as some causes of low back pain can have serious effects on ones body. There are many different approaches to trying to alleviate your back pain. They can range from simply resting or can be a lot more in-depth and require consistent therapy. Below are some of the best remedies for low back pain. If you have recently hurt your lower back it is always a great idea to get a professional opinion. A healthcare professional will complete a full history and physical assessment and help prescribe therapy and exercises. The earlier you get your back looked at and diagnosed, the faster you can get the appropriate advice and get back on track. Another very important reason to visit a specialist is to rule out anything more sinister that may be going on, it is always better to be safe than sorry. If you have recently just hurt your back or if you have aggravated a previous injury it is usually a good idea to ice the area. When you injure yourself the body creates an inflammatory response to your injury, through this inflammatory response your body release chemical which can elicit pain. By placing ice on your back it will help decrease the amount of inflammation you have and in doing so can help you feel better. Stretching is another way to help remedy low back pain. When stretching it is important to feel the stretch but it is also important not to stretch to the point where you are aggravating your pain. Your healthcare professional can provide you with an outline of which stretches for your low back pain are good for you and which are not. It has been shown that people who try to avoid movement and stay in bed when they first hurt their backs have a tougher time completing their daily tasks when compared to those who are more active. By continuing to stick to your daily routine within your limits of course it will help prevent you from being bed-ridden. It has also been shown that those who are impaired by their injuries should continue to exercise. It is a good idea to choose exercises that do not cause excessive strain on the lower back and to be cognizant to avoid positions that may have caused the pain to start. Poor posture may be the reason your back pain began in the first place, and it may also be the reason that your back pain has not gone away just yet. By keeping an out for signs of poor posture such as slouching forward you can help prevent injury and/or help yourself get better quicker. Here are some key tips for good posture; stand up tall, don’t slump forward when seated, try to avoid wearing high heels and try to get a better awareness of your body. A wise man once said “prevention is always better than cure” and this holds very true when it comes to preventing low back pain. Core strengthening exercises are crucial when we are trying to avoid injury in our lumbar region. By increasing the amount of strength and endurance in your lower back it can help stop the problem before it even starts. Although you may be able to pick out a specific reason why their back has flared up, most people don’t have a specific causative factor. Many times people who injure themselves do so because their bodies can’t meet the demands of their everyday activities. If you are able to strengthen your core and in turn increase your strength and endurance you will most probably be less inclined to be hurt. As mentioned earlier once, you injure yourself your body will create an anti-inflammatory response and this response can be the reason you have swelling and pain. By speaking with your doctors about potentially taking anti-inflammatories, it can help decrease the severity of your pain and discomfort. There are over the counter drugs as well that can help with your pain but it is always recommended you see your doctor to avoid any complications from these medications. If you have recently gained weight, or are currently overweight this could potentially be the reason behind your sudden back pain or it could be the reason your back pain is still around. When we start packing on the pounds are body has to adapt and adjust to this change, consequently as we are trying to accommodate these added pounds are body may not be able to handle the load and your back may “give out”. Following a healthy diet and increasing your overall physical activity levels can help you shed some of the weight and as a result, also help your back feel healthier. 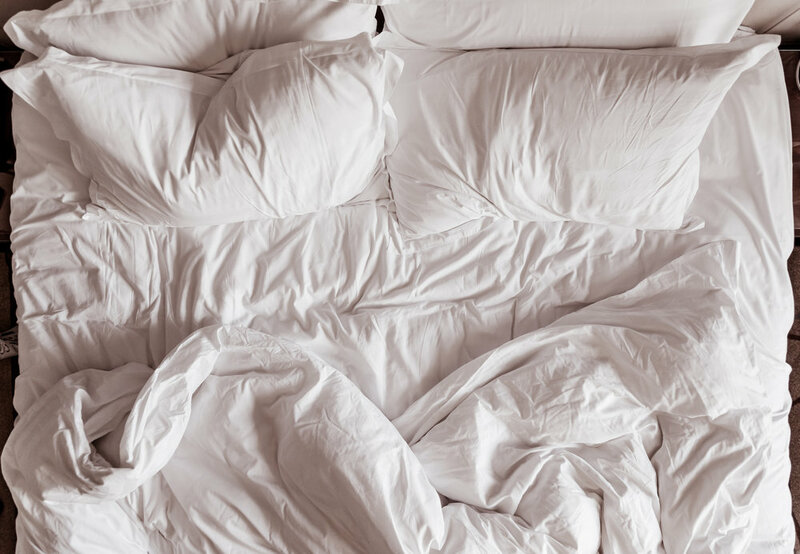 If you can't remember how long its been since you bought your last mattress it may be time to starting thinking about investing in a new bed. Usually, if you’ve had your mattress for more than 7-8 years it may be time to get another one. An old mattress may affect the way your body rests and may be the cause of your low back pain. Being consistently stressed or anxious can lead to poor posture, poor eating, decreased physical exercise and a less overall active lifestyle. Although it is easier said than done you should try and find what helps you relax. Everyone is different and because everyone finds different things relieving it is best to make a list of things that help make you at ease and try to work them into your daily routine. Whether it is reading, running or even getting a massage it is important to help decrease your stress levels and help increase your quality of life. Following the above-mentioned remedies can help you prevent and improve your low back pain. Always remember that the amount of improvement every individual has varies so it always a good idea to consult a healthcare professional if your back pain is not improving or getting worse.